I read somewhere that up to 40% of the things we do in a day are habits. As you probably already know some habits are good and some are bad. Whether it is good or bad, a habit is a learned behavior and it can be replaced. We have been doing some of these habits for years and years and yet others are new. All habits, good or bad, start with a choice. There are many, many things that I could include here but for the purpose of this article I have chosen to highlight just 5 bad habits so that I could share 5 ways to start breaking those bad habits today. Philippians 2:4 Look not every man on his own things, but every man also on the things of others. A very bad habit to get into is that of running late. When you are late to an appointment it has a direct affect upon others. This is a selfish thing in that when you are late you are essentially saying that your time is more important than everyone else’s time. Give yourself 10 more minutes than you think it will take you to arrive to your appointment on time. The fact of the matter is that it takes just as much effort to be consistently late for things as it does to be consistently on time or even slightly early. 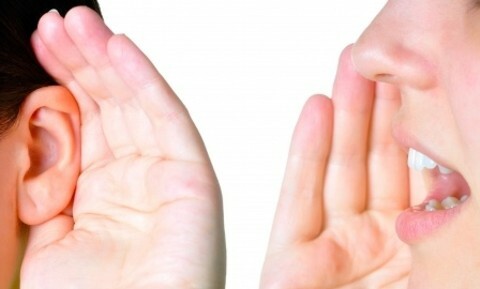 Gossiping: Are You Part of the Problem or Solution? Proverbs 16:28 A forward man soweth strife: and a whisperer separateth chief friends. Whisperer is another word for gossiper. As the Scripture says gossip is usually started by a dishonest (forward) person and it can destroy even the closest of friendships. When you engage in gossip, even when you might not be the one who starts it, you are showing yourself to be untrustworthy (Prov 11:13). The Bible says we should not associate ourselves with such people (Prov 20:19). Gossip is an easy trap to be caught in. And it is a very bad habit. When someone approaches you with information about someone else consider whether or not you are part of the problem or part of the solution. If you are not then you don’t need to listen to the gossip. Politely tell the person that you believe it is not something you need to know. When you feel an urge to spread gossip consider how the person whom is the subject of the gossip would feel if they were right there in your conversation. If your words will tear someone down or even tarnish their reputation ask the Holy Spirit to help you keep your mouth shut. The Bible says when you spread gossip (slander) you are a fool (Prov 10:18). Whisperer is another word for gossiper. Proverbs 18:9 He also that is slothful in his work is brother to him that is a great waster. Procrastination is a bad habit for some in that they continually put off nearly every task that they have to do. The Bible is clear to teach us that we should work diligently and do all of our work as unto the Lord (Col 3:23). Procrastination is the complete opposite of diligence. Put your heart into each and every task. Consider those tasks that you dislike doing and move them to the beginning of your day if at all possible. For example, I truly dislike grocery shopping and I find if I do it early in the day then I have no need to put it off. Psalm 119:15-16 I will meditate in thy precepts, and have respect unto thy ways. I will delight myself in thy statutes: I will not forget thy word. When you have a desire to smoke a cigarette, instead read Psalm 1 and then meditate on that Word, think about what it really says. After you have read that Psalm and you still crave that cigarette go take a couple puffs but don’t smoke the whole cigarette. Next time you have a desire to smoke a cigarette read and meditate upon Psalm 2 and 3. After you have finished your reading resist the urge to smoke the cigarette. If you cannot resist go take a couple puffs but don’t smoke the whole cigarette. Next time you have a desire to smoke a cigarette read and meditate upon Psalm 4, 5 and 6 … this time choose not to smoke the cigarette. Every time you have the desire to smoke add one more Psalm to your reading and meditation. The hope is that eventually you will not have the time nor the desire to smoke that cigarette because you are too busy reading and enjoying your Bible. Ephesians 4:22-24 That ye put off concerning the former conversation the old man, which is corrupt according to the deceitful lusts; And be renewed in the spirit of the mind; And that ye put on the new man, which after God is created in righteousness and true holiness. Eph 4:31-32 – Don’t be bitter, wrathful, angry and the such instead be kind to one another, tenderhearted and forgiving. No matter what bad habit that you might be struggling with God has an answer. I have shared just 5 ways to start breaking bad habits today. You can apply the same formula to any life issue – meditate upon God’s word and follow the leading of the Holy Spirit to help you replace bad habits with good ones. Put off the old man and put on the new man because time is short. Paul put it this way “The night is far spend, the day is at hand: let us therefore cast off the works of darkness, and let us put on the armour of light” (Rom 13:12). Great advice and encouragement to “put on” the new man(Eph 4). I find interesting that right in the middle of your list comes the almost parenthetical admonition to “Neither give place to the devil”(vs 27). I would have expected Paul to have said “in order” that you give no place to the devil. Instead this seems, IMO, to be a stand alone statement that together with these other items that you mentioned we are to “also” give no place or opportunity to Satan, to pull us away from Christ in any(your list) “AND” every area of our lives. For our struggle, as you know…”is not against flesh and blood, but against the rulers, against the powers, against the world forces of this darkness, against the spiritual forces of wickedness in the heavenly places”(Eph 6:12). Satan’s purpose is to destroy our souls. Our need, with God’s help, is to resist him. Your practical examples are great ways in how to do this. Thanks Doc, Good word. Great observation. Next post: What Does the Bible Say About Crying and Tears?